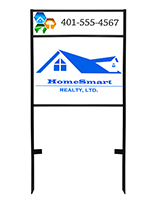 Designed to hold (1) 24" x 18" yard sign and (1) 24" x 6" rider. Pointed feet to easily push into soft ground. Pre-made holes to insert zip ties and keep signs in place (zip ties not included). 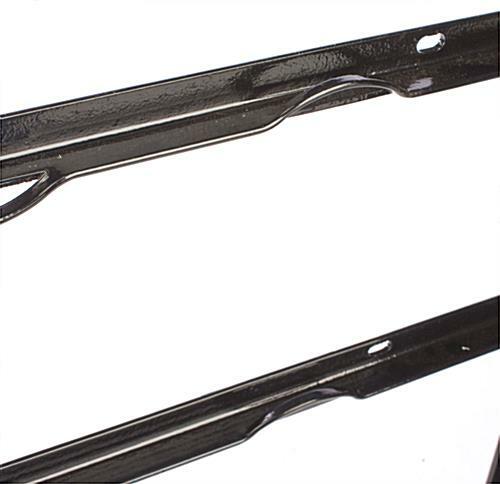 Constructed from steel with a black powder coated finish to last. 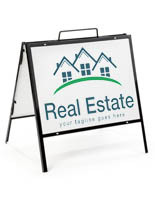 This real estate signholder, yard sign features a sturdy steel frame and is designed for outdoor use. Each frame features pointed legs for users to easily push the frames into soft ground. This helps to prevent the yard sign from easily blowing away. 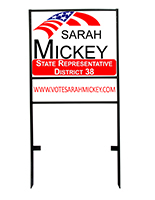 The lightweight design of this political signholder stake allows users to easily carry and set them up in any outdoor location. This yard sign does not include printed graphics or signage. Users are required to prepare their own graphics. 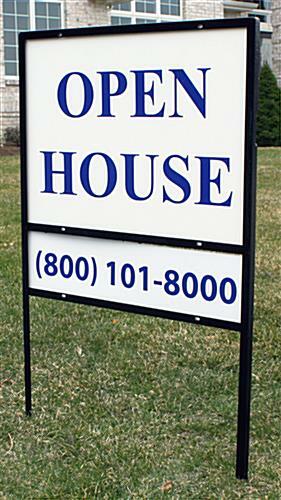 Printed graphics can easily be attached to the yard sign frame using zip ties (not included with purchase). 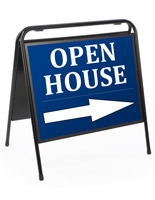 When creating advertisements, the use of rigid poster materials is recommended. 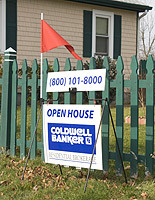 This yard sign frame, also called a political poster holder, is used to inform potential buyers of a home or business for sale. These frames can also be used to display "call to action" posters, such as political advertisements encouraging passersby to vote! The frame is designed to hold (1) 24" x 18" sign and (1) 24" x 6" rider. 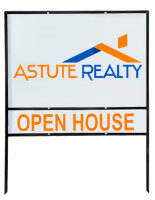 This frame is great for use by real estate companies to display "For Sale", "Open House" and "Sold" notices. 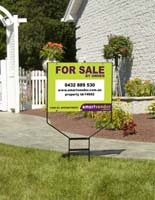 Home owners and contractors can advertise their contact information or other important information using these cheap lawn signs. These political signage displays are also widely used to present campaign or election advertisements as well. Store owners could also make use of these signage display frames, to advertise messages or give directions to customers. 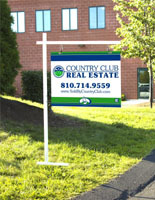 There is no assembly required with these units, as signage attached directly to the frame with zip ties. 27.0" x 41.0" x 0.75"
Solid material. Sturdy and strong. Thank you for the solid review, Sharon! The items that I purchased where just what I requested and arrived in a timely manner. I am very satisfied. The sign holder is sturdy and arrived promptly. I will order again. Thanks for the feedback, Sharon! We're glad to hear you had a good experience with us.